Attend the UK’s popular personalised online Cabin Crew Course taught by a current serving senior cabin crew member with over 14 years experience. Pass any airline recruitment process with this complete interactive breakdown. Are you considering a career as an air cabin crew member? If so, our online cabin crew course will be perfect for YOU. As a cabin crew member, you will need to provide fantastic customer service to passengers, all the while ensuring that they are comfortable and safe throughout their journey. Cabin crew are responsible for dealing with emergency situations that might arise in the air, as well as selling gifts, serving meals and administering first aid to customers. If this all sounds appealing to you, then keep reading. Our fantastic blog, and training course, will provide you with all of the information you’ll need to know. Becoming a cabin crew is hard and stressful, many good candidates fail it. Our comprehensive cabin crew course will drastically improve your chances of passing your selection process by increasing your knowledge, preparation and confidence. Attending pre-flight meetings, where you will be expected to take notes and remember details such as passengers with specific medical needs, flight times and the number of children onboard the aircraft. Performing safety and security checks, making sure that the aircraft is clean and presentable for the next customers, ensuring that all safety information is readily available in seat pockets and that the aircraft is stocked with supplies such as food, drink and gifts. Welcoming the passengers as they come on board, and helping them to find their seat numbers. Running through the safety procedures with the passengers. Ensuring that all passengers are strapped in via seatbelt and hand luggage is secured prior to take off. Making announcements to the customers via the intercom system and answering customer queries during the journey. Performing first aid if necessary. Helping passengers to disembark safely from the flight, and ensuring there is no luggage left onboard the aircraft. Completing a detailed flight report, that lists any incidents and occurrences that arise during the flight. To maintain a high level of safety knowledge. You must be between the height of 5’2 and 6’3. This could vary depending on the airline to which you are applying. You must be able to pass a medical assessment, and an eyesight test. You must be able to swim at least 25m without any assistance, and tread water for at least 1 minute. You must be completely fluent in English. If you are to be based abroad, then you must also be fluent in the language of the country in which you want to work, both verbally and written. This is not the case with middle eastern airlines such as Emirates, Qatar, and Etihad. You must be able to live and work within the EU without any restrictions or issues. You must hold a European passport. You must live within 90 minutes of your selected base, and must be prepared to make this trip every single day, at any possible time. You must not have any visible tattoos or piercings. If you do, and they cannot be covered discreetly, then you will be rejected from the process. You must have a good standard of education, 5 GCSEs from A* to D (or 9 to 3). A previous history of working within the customer service industry would also be extremely useful. In the next section, we will give you an overview of each of these stages, and some advice on how to pass them. A respect for customers and an ability to treat them in a polite manner at all times. An ability to react proactively to customer needs and feedback. An ability to consider both the interests of the customer, and the company, when making service based decisions. An ability to communicate effectively with both customers and staff, to resolve issues. An ability to work as part of a team, to deliver great service to customers. In the competency-based section of the application form, you could be tested on your understanding of any of these criteria. If you have previously worked in a customer service role before, then you will be in a perfect position to answer this. Below we’ve included a sample question, which is similar to what you might expect to see in the application form. When answering this question, make sure you give an example of something that YOU DID, rather than what you would do, or could have done differently. The assessors need to see that you are someone who already possesses great customer service skills prior to the application, rather than someone who will need to be taught on the job. Once you have completed your application form, you will be invited to sit an online verbal reasoning test. In this test, you’ll be given 12 minutes to answer up to 42 multiple choice questions, based on several different passages. You will be provided with a number of statements related to the passage, and will have to select whether the statement is true, false or impossible to say, based on the information that you have read. “Forests have a huge role to play in fighting climate change. Forests can be used to absorb and store carbon in their soil and trees. Yet, we continue to cut these forests down with no consideration for the consequences that follow. Why? Why do we continue these actions if we know what the outcome and consequences are going to be? If these forests are frequently being cut down, then all of the stored emissions from the trees will be released into the atmosphere. Up to one-fifth of greenhouse gas emissions comes from deforestation and forest degradation, which indicates the scale of the issue and the impact that it causes in terms of global warming. Some people consider global warming as “natural”, yet it is apparent that we, as the central contributors to climate change, need to change our behaviour. Science tells us that although the Earth’s climate has always changed; our actions in the way we have treated our planet, remain the most damaging. 1. Which of these is not listed as a direct consequence of global warming? A – Sea level rises. B – Melting Ice Caps. C – Blacking out of the sun. Explanation: All of the others are listed as direct consequences of global warming. The passage does not talk about the effect that global warming has on the sun. As you can see, 12 minutes to answer these types of question is an extremely short amount of time. What you need to remember is that you are not necessarily expected to complete this test. The assessors are looking for quality over quantity. For example, a score of 15 on 20 questions completed, is far better than a score of 15 on 30 questions completed. With this in mind, you should start preparing for the verbal reasoning exercise before you even fill in the application form. Set aside 30 minutes every day, to ensure that you are competent and prepared to undertake this assessment. The majority of candidates will do little to no preparation whatsoever, and therefore (even at such an early stage in the process) your own preparation will set you apart. The next stage of the cabin crew selection process will depend upon which airline you are applying to. Many airlines will request that you take a video, or telephone interview prior to attending the assessment centre. You will find information on both of these topics in the course details section of this guide. Presentation: Your first test will be to perform a presentation. In this task, you will be given an item, which you will then have to sell to other members of your selected group. These members will act as hypothetical passengers on your aircraft. When working as a crew member, your ability to sell is extremely important. While different companies will place different emphasis on this, generally you will receive commission on all sales made and this will go into your wages at the end of the month. Therefore you need to be able to present products in an efficient and appealing manner. Show a commitment and enthusiasm for the team’s goals. Accept and give out feedback in a constructive manner. Encourage, motivate and support the other members of the group. Work to build good relations with your team members. Take initiative and responsibility in leading the team. A multiple-choice exam: This will normally consist of general knowledge, travel and airline specific situational questions. You can prepare for this by researching current events, and the company policy of the company to which you are applying. PA reading: During this test you will be required to read out over an intercom system, in order for the airline to evaluate how well you can read and speak. Memory recall tests: These tests evaluate how well you would learn and remember the cabin crew syllabus if you were successful in the process. Role play exercises: In these exercises you will normally have to deal with a complaint from a customer. You will be directed into a room containing both an assessor and a role play actor, and your job will be to deal with the situation presented to you. Along with these exercises, you’ll also be subjected to various height tests, as per the eligibility criteria. In the next section, we’ll provide you with all of the information you need to know about the assessment centre interview. Following the day’s exercises, there will be a short interlude whilst the assessors at the centre gather together to select the candidates who will progress through to the interview stage. If you have passed through to the interview stage, you will be brought (along with the other successful candidates) into a room and informed of this. The interviews will then begin. During the cabin crew interview, you will be asked various questions that relate to the core competencies of the role. In particular, these will examine your customer service abilities, and your understanding of situations that you would normally face during a flight situation. The best way to answer this type of question is to demonstrate that a) you have a great understanding of the customer service competencies required, b) you have conducted detailed research prior to the interview on both the company to which you are applying, and on the role itself. If you can show that your own values are in line with the key values of the organisation, you will stand a much better chance of passing the interview. – Why do you want to become a cabin crew member? – What do you think the hardest aspect of cabin crew life is? – Give me an example of a time when you have provided good customer service. – Give me an example of a time when you have encountered a difficult situation at work. – What is your biggest weakness? Look the part. Airlines need to know that you are a presentable, tidy and well-groomed person, who will represent them whilst wearing their uniform. Avoid wearing casual or low cut clothing to your assessment day, as your assessors will be judging you on what you wear, as well as how you act. Be sociable. Cabin crew need to be friendly and approachable at all times whilst representing the company. This means that you will need to reflect the same values whilst attending the assessment centre. If you are sitting on your own, or being silent and reserved, it is likely that the assessors will get the wrong impression of you, and you could end up being sent home early on in the day. Remember the customer. Never assume that because you are interviewing for a ‘lesser budget’ airline, they will place less focus on customer service. Customer service is key. Every single airline will expect you to have fantastic customer service skills, regardless of their size. In every response, make sure you are focusing on the core competencies and considering the impact that your behaviour will have on the customer. There are 3 different types of interview that you might face during the selection process for cabin crew. Above, we provided you with face to face tips. Now, let’s look at video and telephone interviews. You might encounter each of these exercises prior to your assessment day, depending on which airline you are applying for. Video interviews: Video interviews are a modern way of filtering out applicants who may not be suitable for the role, without having to bring them into an airlines assessment centre. With new UK laws which dictate that employers are no longer able to request a photo, video interviews are a perfect way for airlines to assess a candidate’s appearance. Telephone interviews: Telephone interviews are another way of filtering out applicants. They allow an airline to assess how well a candidate verbally communicates, without having to assess them face to face. Telephone interviews are actually easier for candidates, as they allow the applicant to refer to their notes and prepare in the comfort of their own home. You will be judged from the moment that you set foot on the airline premises. Even while you are waiting in the holding room, the assessors will be looking at your behaviour and how you interact with other candidates. This means that you will need to avoid certain behaviours, such as using your mobile phone or engaging in inappropriate conversation topics. If you maintain a professional, relevant and friendly attitude towards everyone you meet, the airline are more likely to favour your application. Finally, we’ll discuss what opportunities there are for career progression as a member of cabin crew, and how this can vary between different airlines. 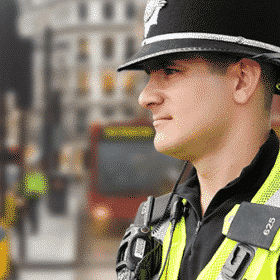 We’ll show you the best way to get ahead in the industry, and how you should conduct yourself to aid this, including how you should behave on social media and whilst off duty. After enrolling in our cabin crew course, you will receive a training certificate to confirm your attendance. You can add this to your portfolio to demonstrate to airlines your willingness to learn and achieve a job as a cabin crew. 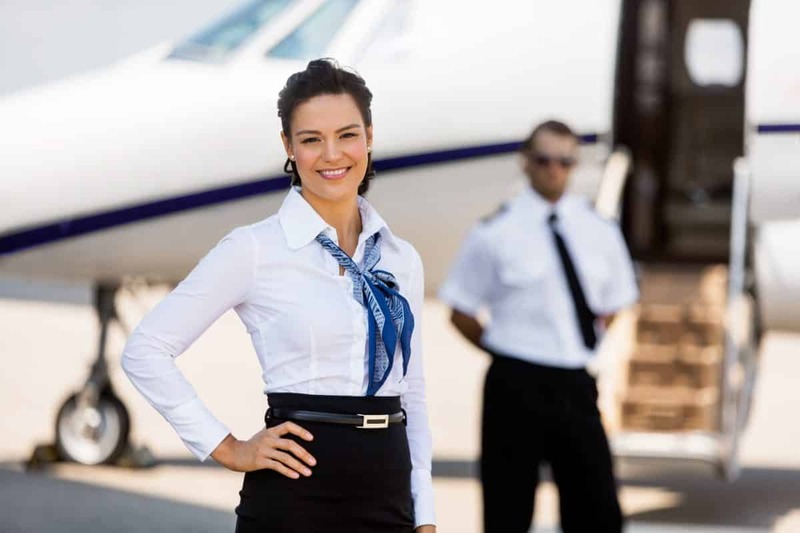 This Cabin Crew course is perfect for anyone who has strong and motivated aspirations to become a successful Cabin Crew member. This comprehensive online course has approximately 11 hours of content! Just £27.00+VAT per month until cancelled. No minimum term. You may cancel anytime by contacting us at info@how2become.com. Compatible with Windows, Mac, Tablets and Mobile devices.